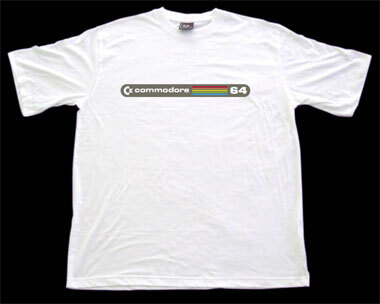 And now for something completely different: I bid on and won a retro style Commodore 64 T-Shirt! The logo is obviously the one from the original 64, not the updated 64c in the beige case. If you're going to go retro, you might as well go the extra distance! Have you bought anything pointless on eBay lately? :D.